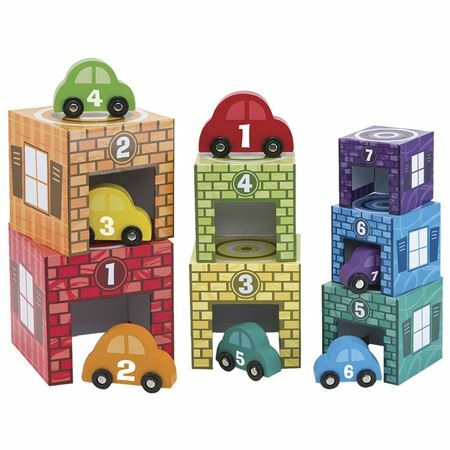 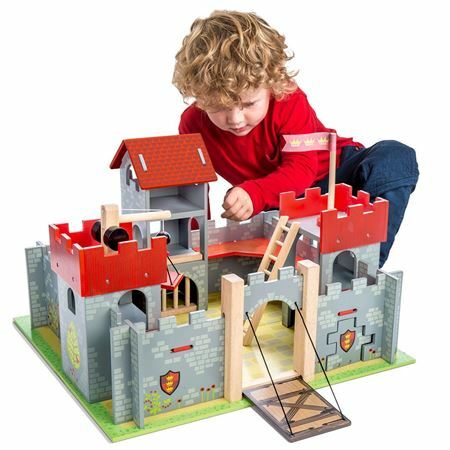 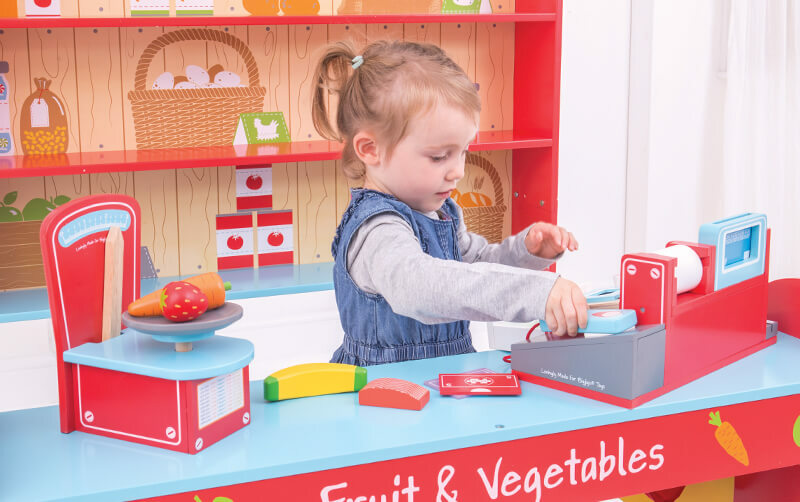 Our extensive wooden toy range has something for everyone, be it a charming wooden toy for a baby or toddler, a wooden game set, or fun wooden ride on toys - you are sure to find the perfect gift here. 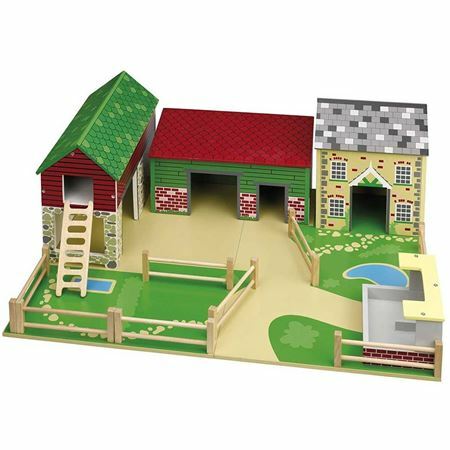 Have fun on the farm with a beautifully detailed wooden Oldfield farmyard. 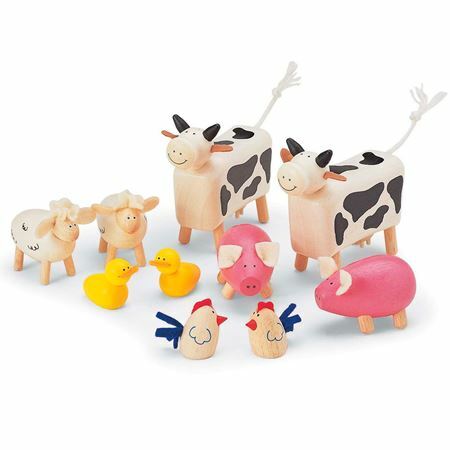 Happy 10 piece wooden farm animal and bird set. 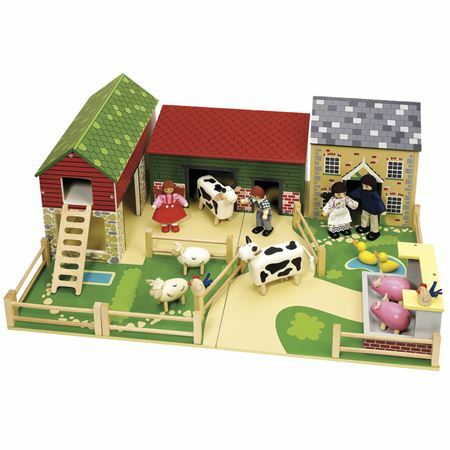 Jolly wooden Farmer Family are to the scale of Oldfield Farm and compatible with many dolls' houses. 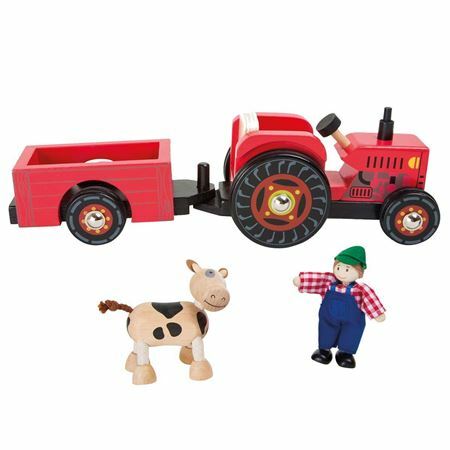 Bright red painted wooden tractor with detachable trailer, poseable farmer doll and friendly looking cow for rural adventures! 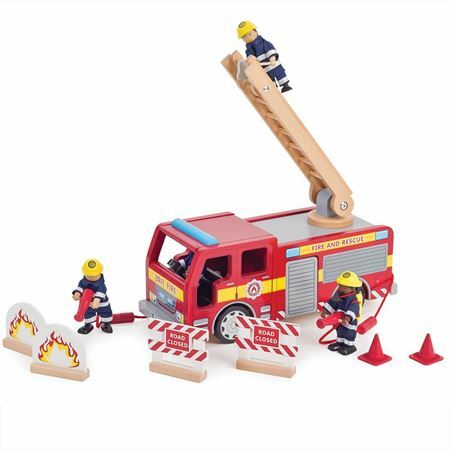 Robust, wooden Front End Loader has raising and lowering bucket to move all those building materials around. 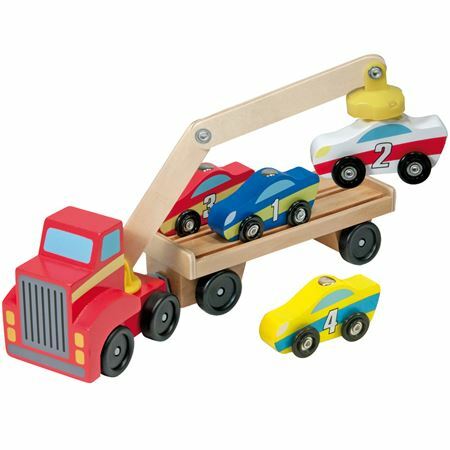 Large painted wooden crane with fully rotating boom, fully operating winch, hook with lifting pallet and cab that raises and lowers. 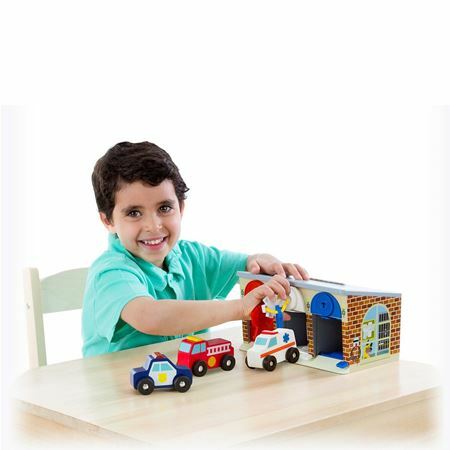 Tough wooden dumper truck with a tippable back and hinged door to release supplies quickly! 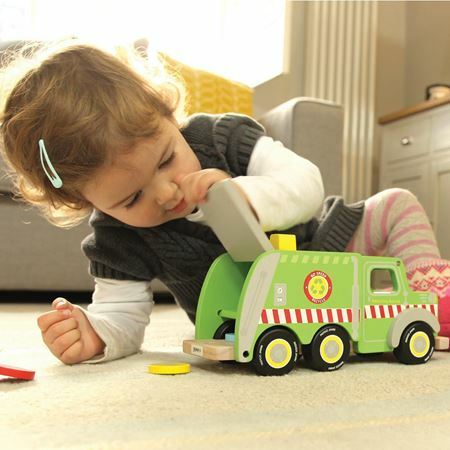 Wooden Digger with caterpillar tracks, functioning scoop and a fully swivelling cab to make light work of any pretend groundworks! 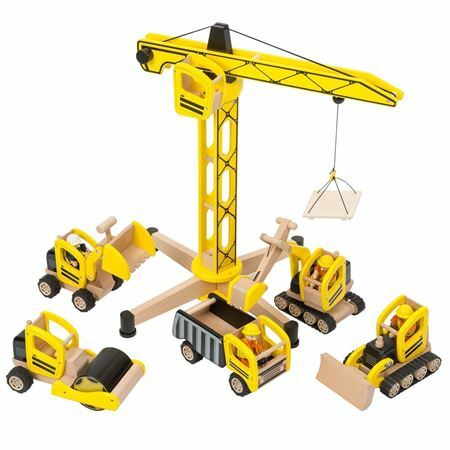 A tough, detailed wooden bulldozer, with realistic caterpillar tracks and a raising/lowering blade, ready to clear the way on any toy construction site! 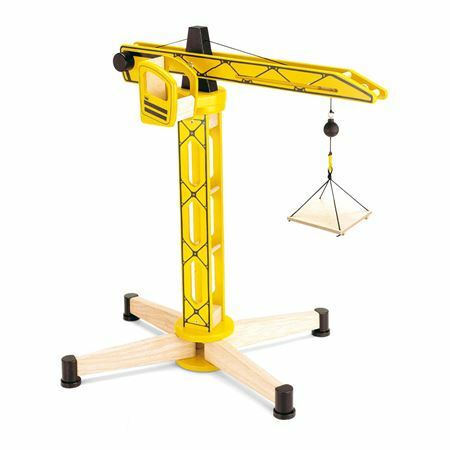 Large robust wooden Crane is fully operative with rotating boom and pallet - towering above the Construction Site set. 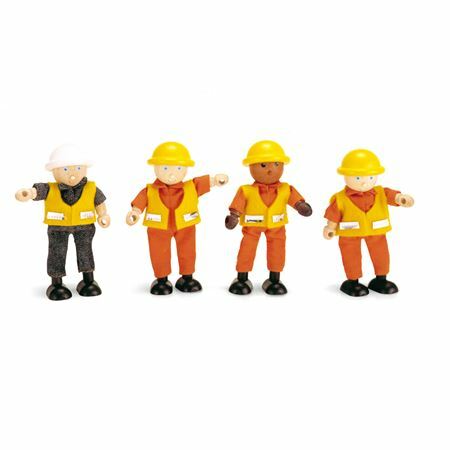 Time for work on the Construction site with 4 cheery poseable wooden builders - compatible with all our Construction Vehicles range. 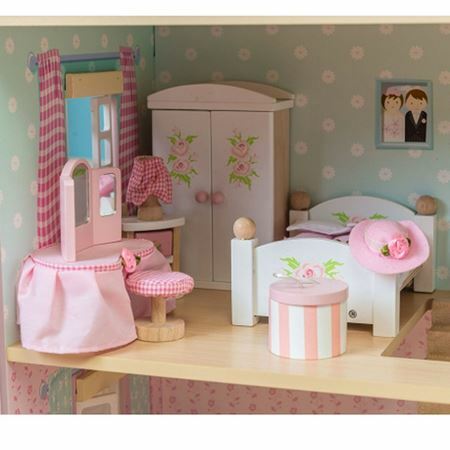 A grand four storey wooden dolls house from Le Toy Van. 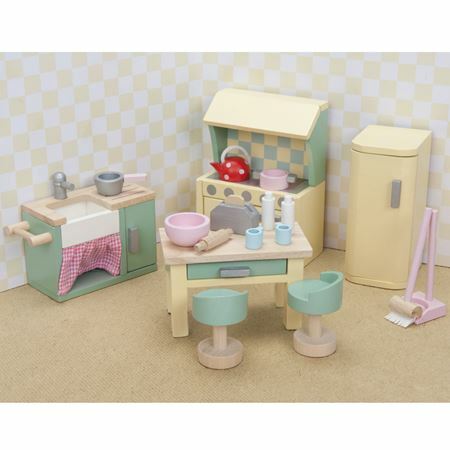 Every little girl or boy's dream! 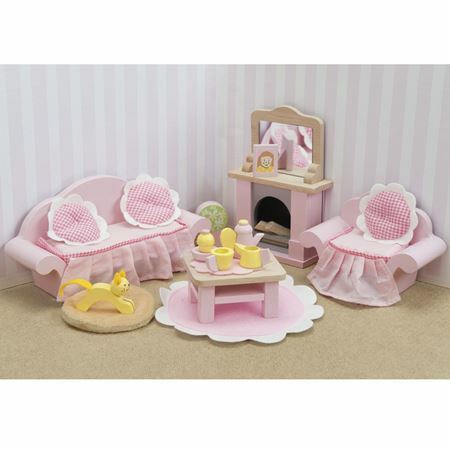 Superb quality Daisylane Sitting Room wooden dolls house furniture set with beautifully detailed finish and accessories. 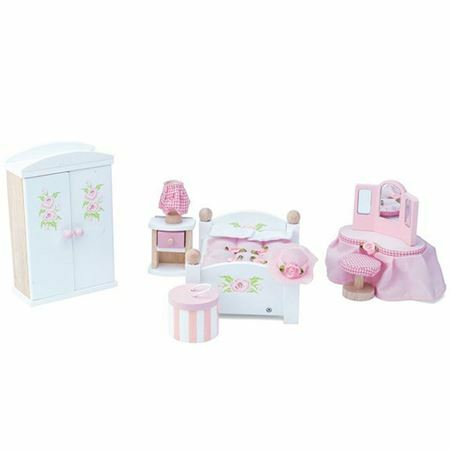 Superb quality Daisylane Master Bedroom wooden dolls house furniture set with beautifully detailed finish and accessories. 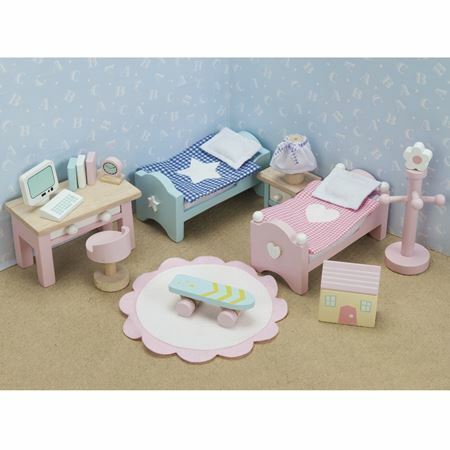 Superb quality Daisylane Children's Bedroom wooden dolls house furniture set with beautifully detailed finish and accessories. 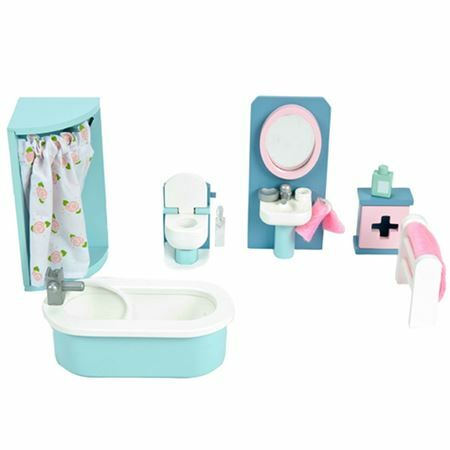 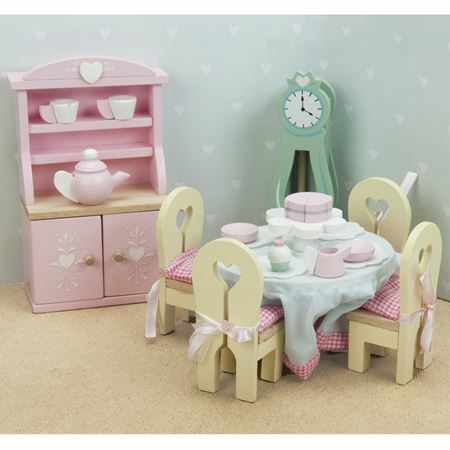 Superb quality Daisylane Bathroom wooden dolls house furniture set with beautifully detailed finish and accessories. 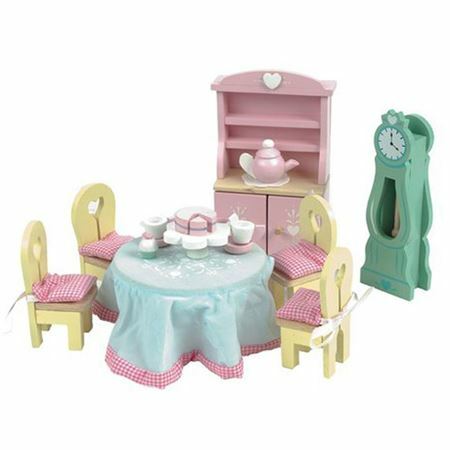 Superb quality Daisylane Drawing Room wooden dolls house furniture set with beautifully detailed finish and accessories. 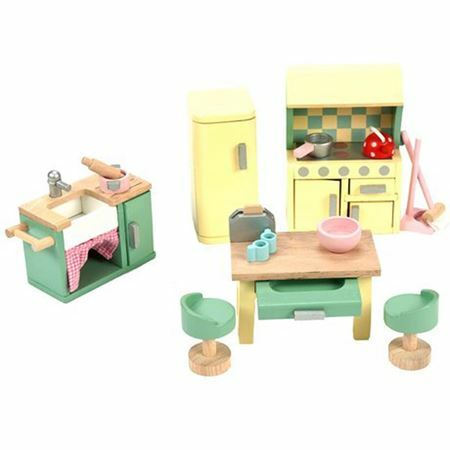 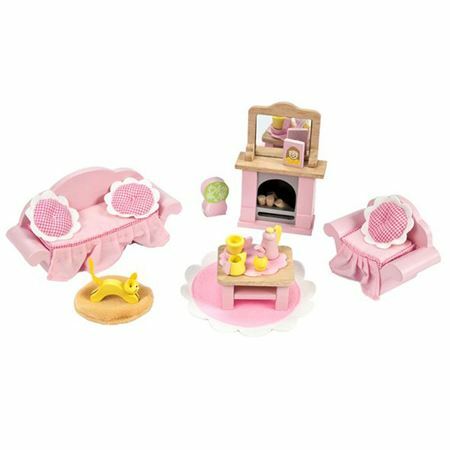 Superb quality Daisylane Kitchen wooden dolls house furniture set with beautifully detailed finish and accessories. 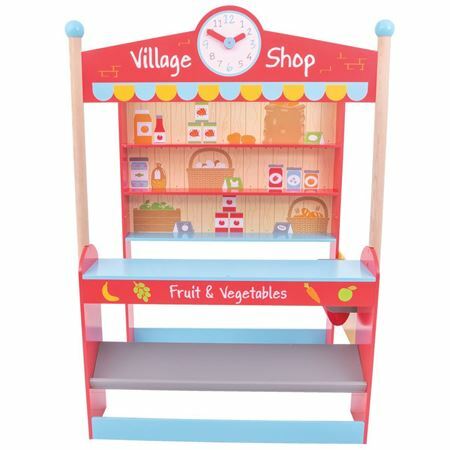 Wonderful wooden village shop with shelves, counter, and clock with moveable hands. 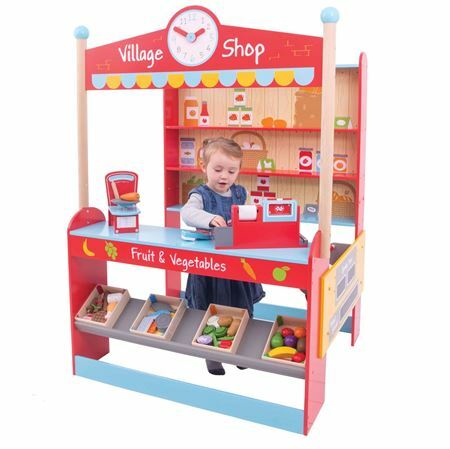 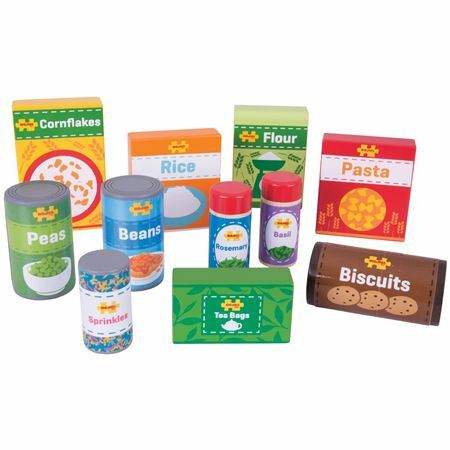 Sure to delight little shop keepers at home, school or nursery! 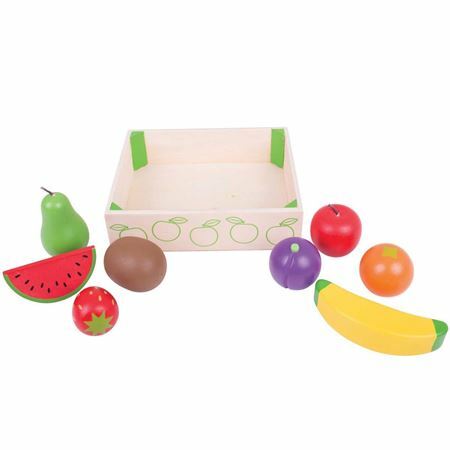 A selection of 8 painted wooden pieces of fruit in a wooden crate. 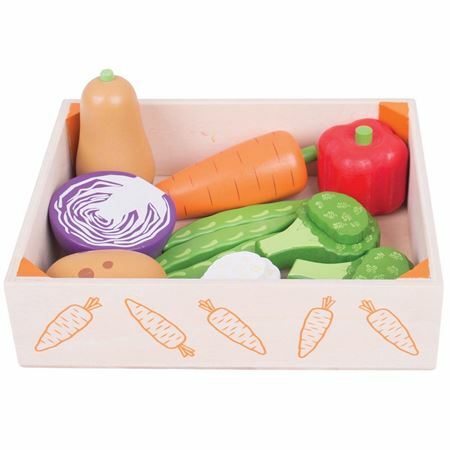 A selection of 11 painted wooden pieces of Vegetables in a wooden crate. 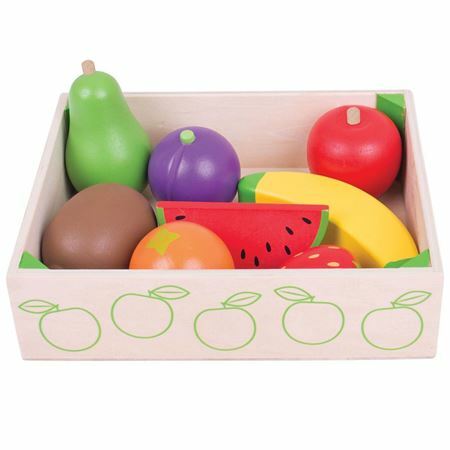 Eleven piece set of painted wooden groceries to stock play kitchens and shops. 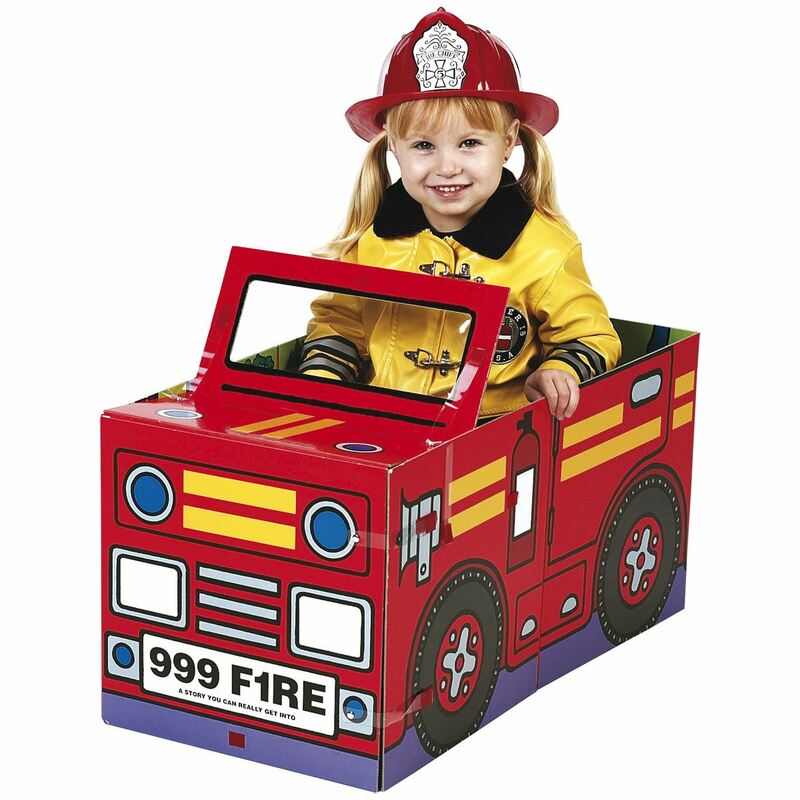 Superb quality, large painted wooden fire engine with extendable ladder, side hatches and accessories. 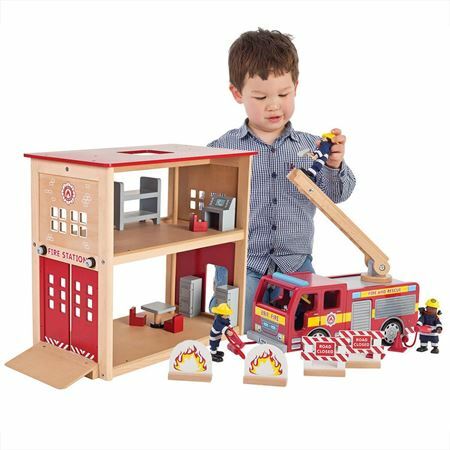 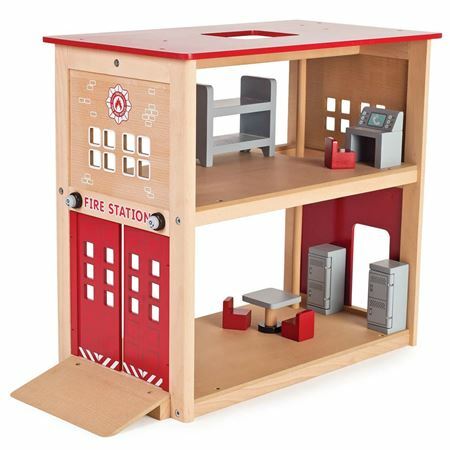 Robust, highly detailed wooden 2-storey, open plan fire station with fire fighters pole, double swing doors, ramp, wooden furniture and accessories to house our fire fighters and fire engine (available separately). 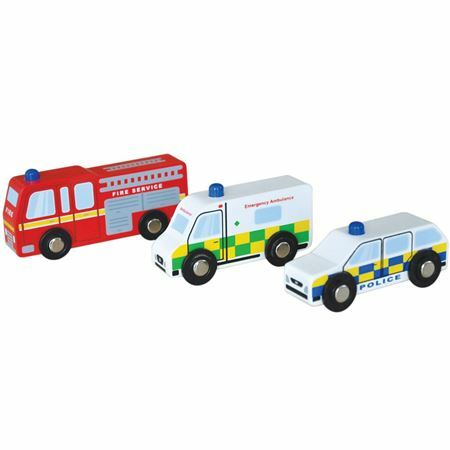 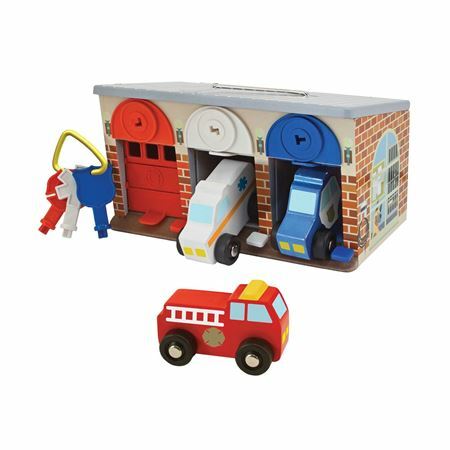 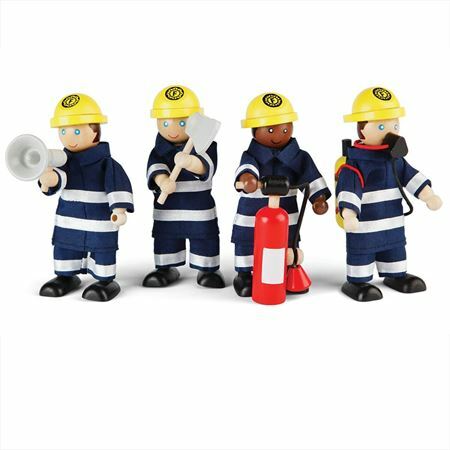 Four poseable wooden Fire Fighters each with fire-fighting accessories, perfect to use with our Fire Station and Engine. 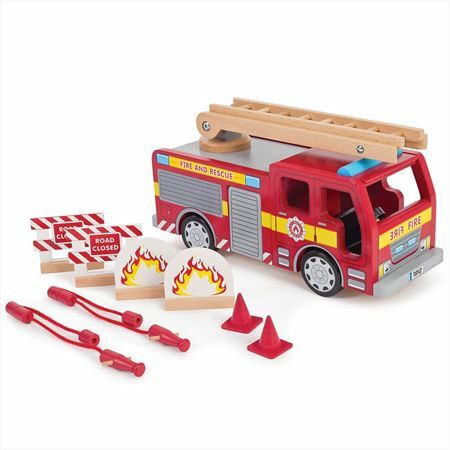 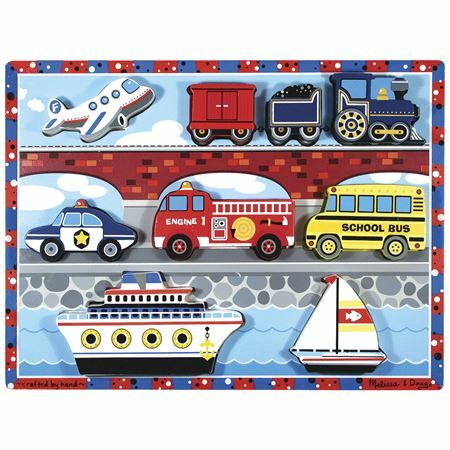 Chunky wooden eight-piece puzzle to piece together and create a push along fire engine. 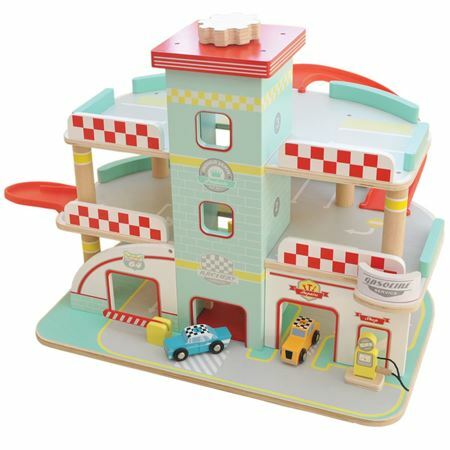 Stunning 3 floor painted wooden garage with working lift and two cars. 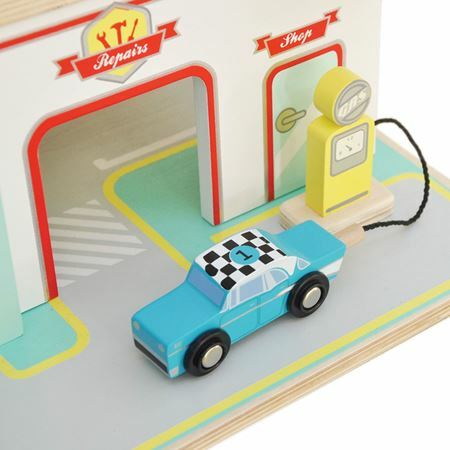 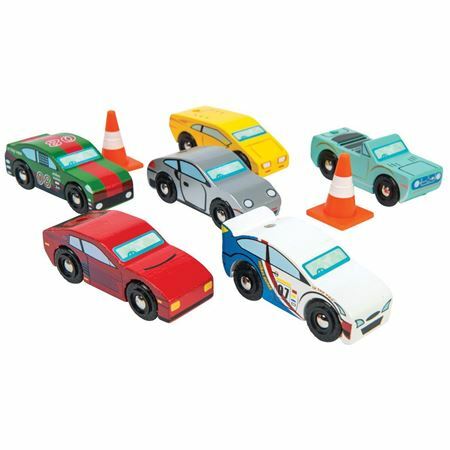 Get ready for race with 6 cool wooden sports cars from Le Toy Van. 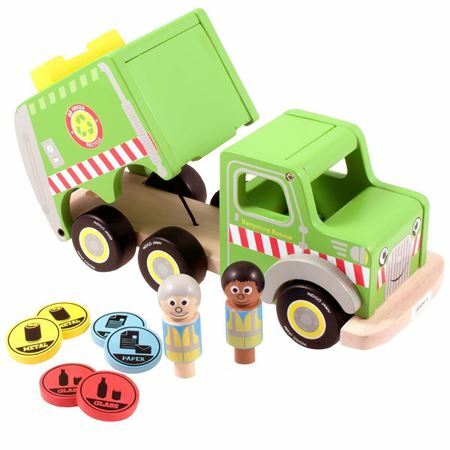 Painted wooden push-along recycling lorry with two characters and recycling pieces to sort. 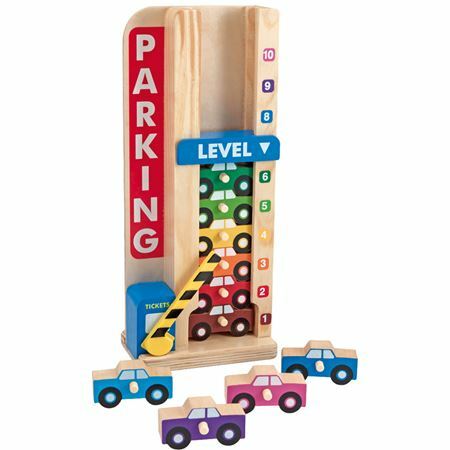 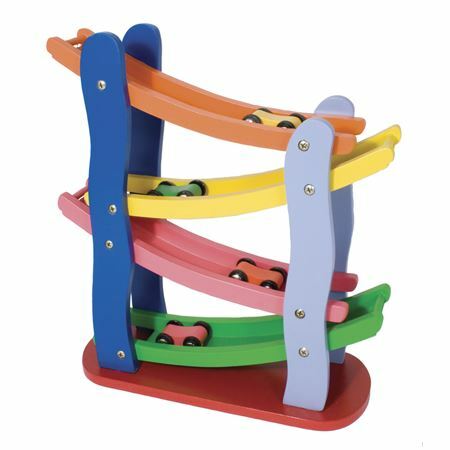 Race Track Tower - race the 4 wooden cars down the colourful wooden zig zag track. 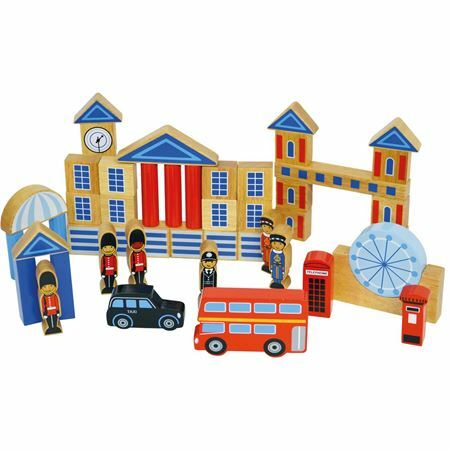 Create a traditional London scene with building blocks and instantly recognisable characters. 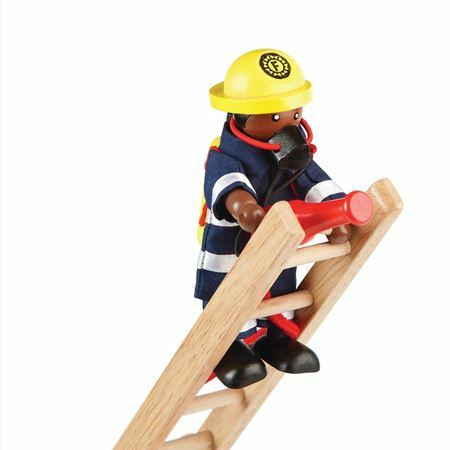 "Ahoy me Hearties!" 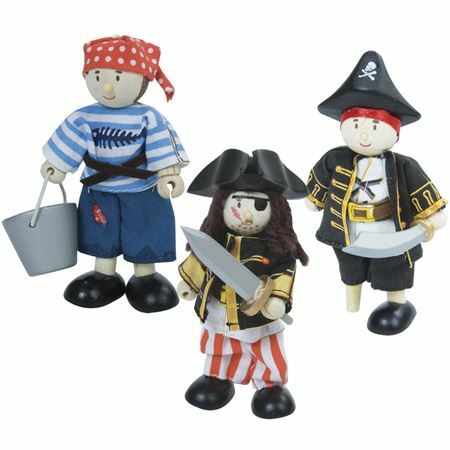 Set of three characterful wooden Budkins pirate figures. 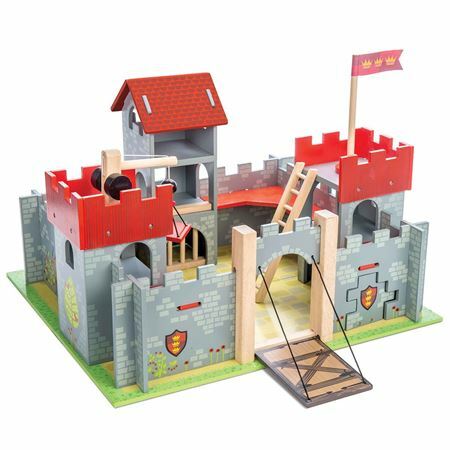 Barbarossa Pirate Ship. 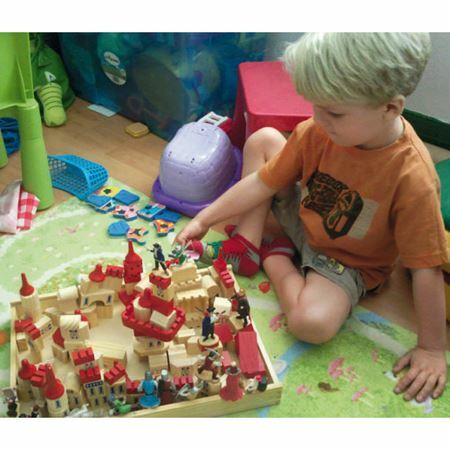 Award winning wooden pirate ship with exciting features for swashbuckling adventures! 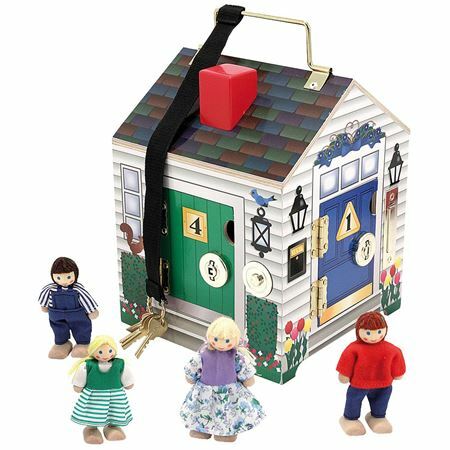 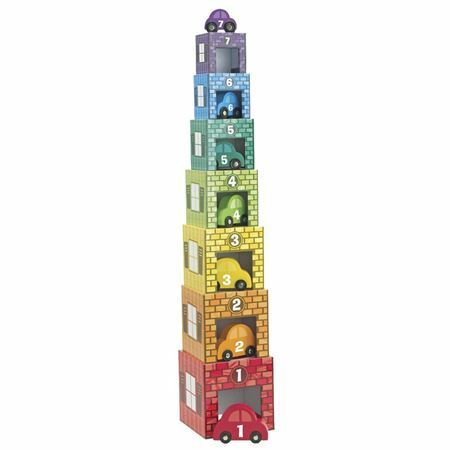 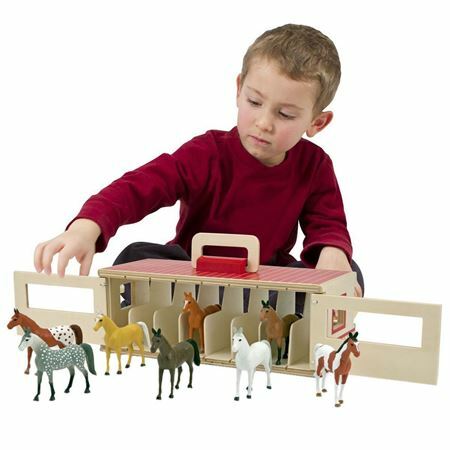 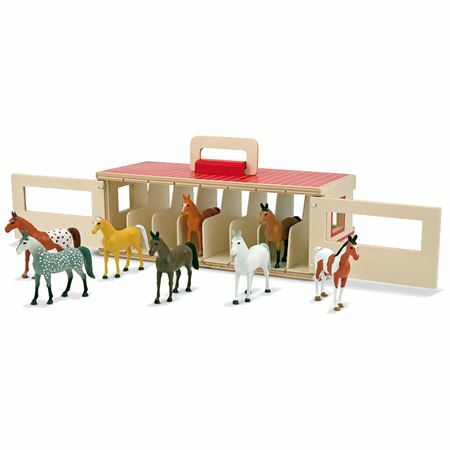 Have an equestrian event with a wooden stable block and 8 detailed horses, from Melissa & Doug. 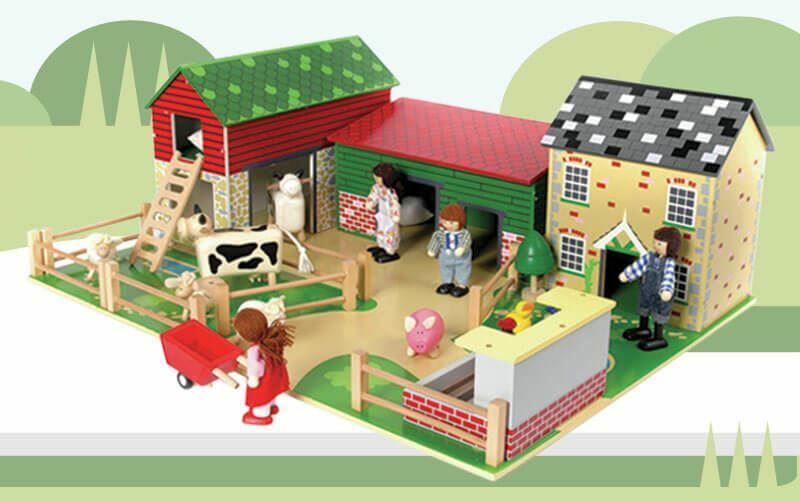 Wooden toys for kids are just that little bit more special than their plastic cousins! 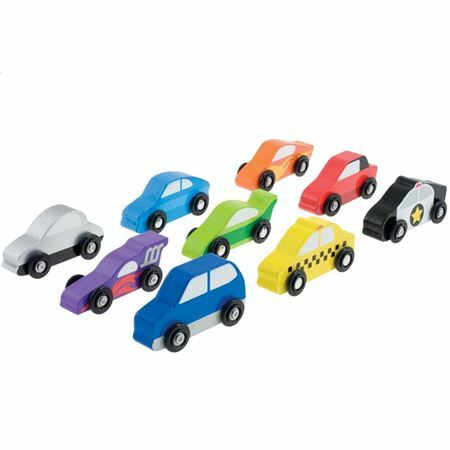 They are made from man-made materials, making them an eco-friendlier alternative to most modern toys! 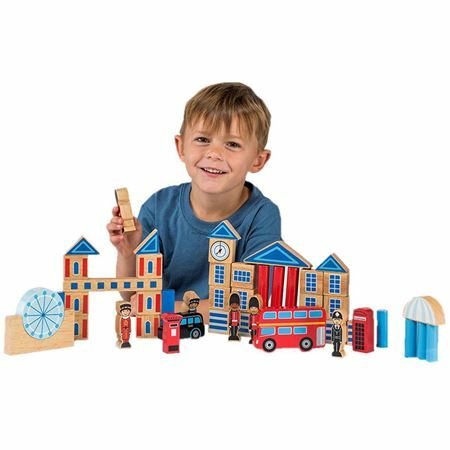 In addition – our wooden toys are built to last providing hours of fun and a lifetime of precious memories. 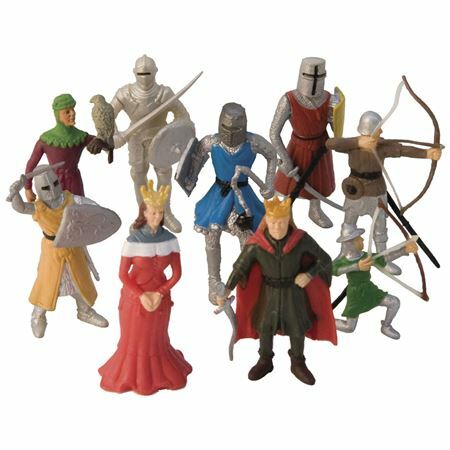 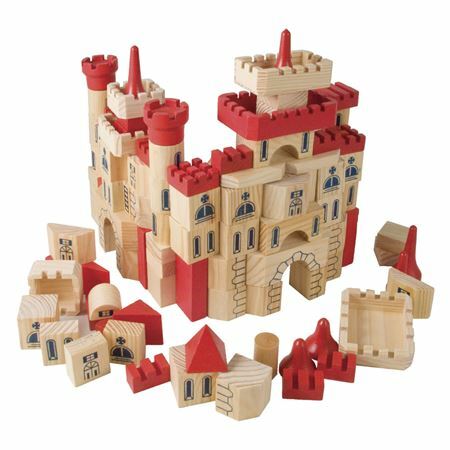 Our fabulous range of wooden toys for kids will take you back in time to your own childhood. 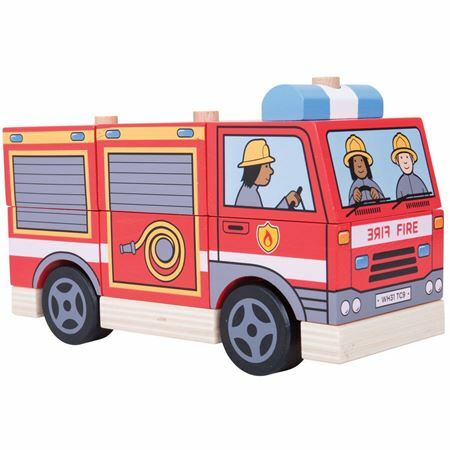 Whether you are looking for a charming wooden toy for a baby or toddler, a boy or a girl – you are sure to add the perfect touch of tradition to any nursery or bedroom with our range of wooden toys. 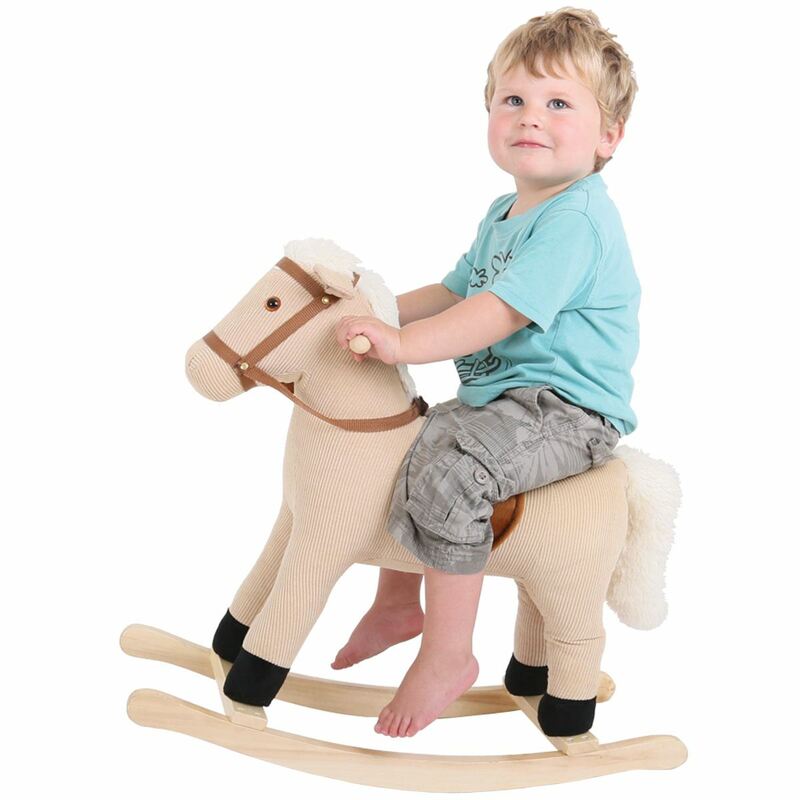 Why choose Mulberry Bush for Wooden Toys? 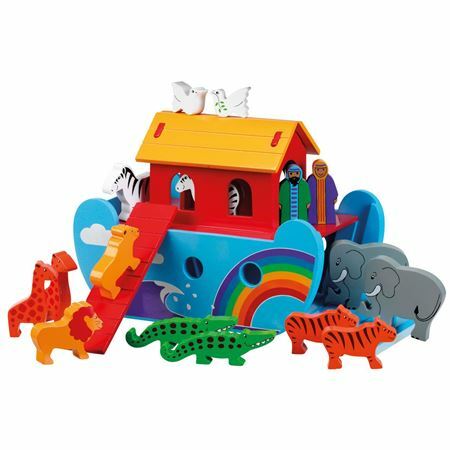 Our aim at Mulberry Bush is to find toys and gifts that our team would have loved during their childhood and bring them back! 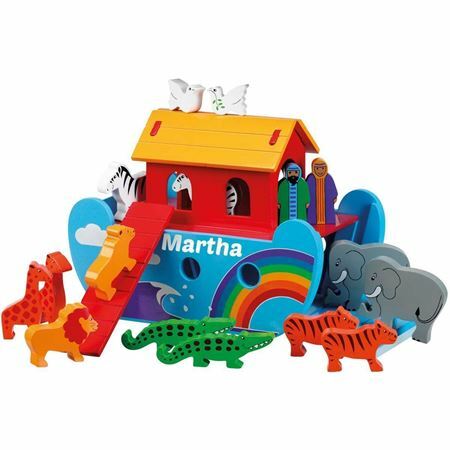 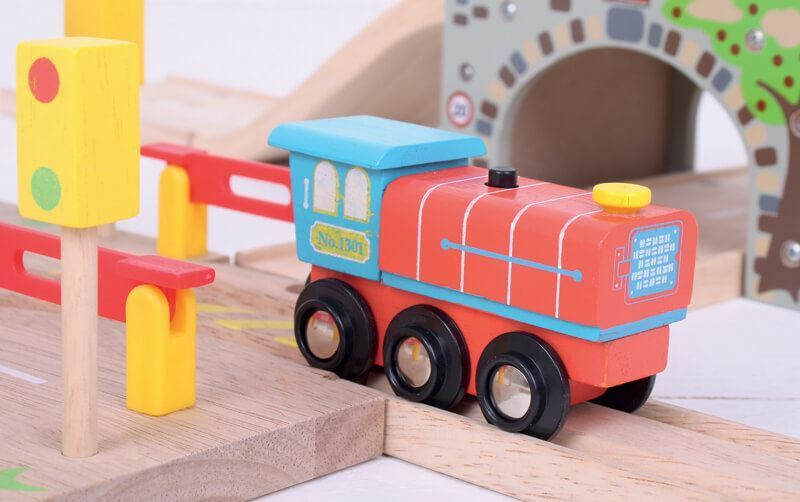 Our friendly team here have extensive knowledge of our broad product range of wooden toys and are on hand and happy to help customers to find the right toy. 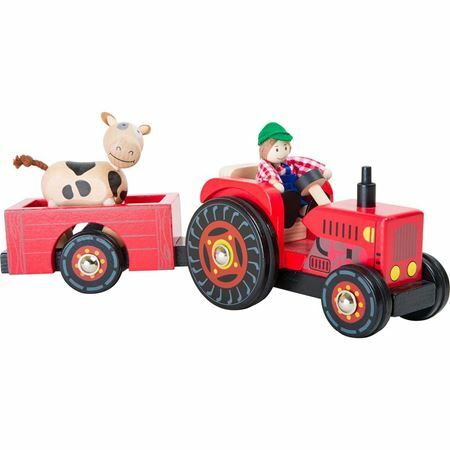 A traditional wooden toy from Mulberry Bush is a wonderful gift for a child – whatever the occasion!